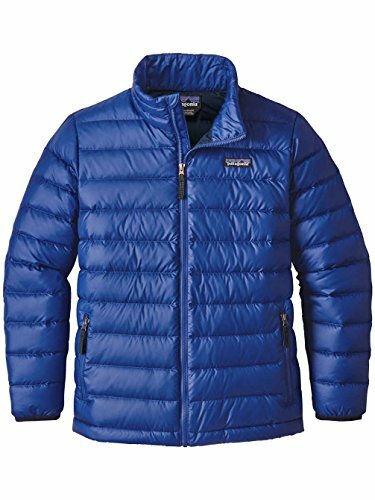 Perfect as is or worn as a mid-layer underneath a shell, the Patagonia® Down Sweater Jacket offers warmth and comfort without the bulk. Your little guy will be cozy and protected with Traceable Down insulation and multiple reflective elements. He can keep the elements at bay with the full zip front closure, stand-up collar and internal cuff gaiter. Designed for comfort, but packed with outdoor adventure essentials, dress him in this Patagonia® style for a worry-free season.